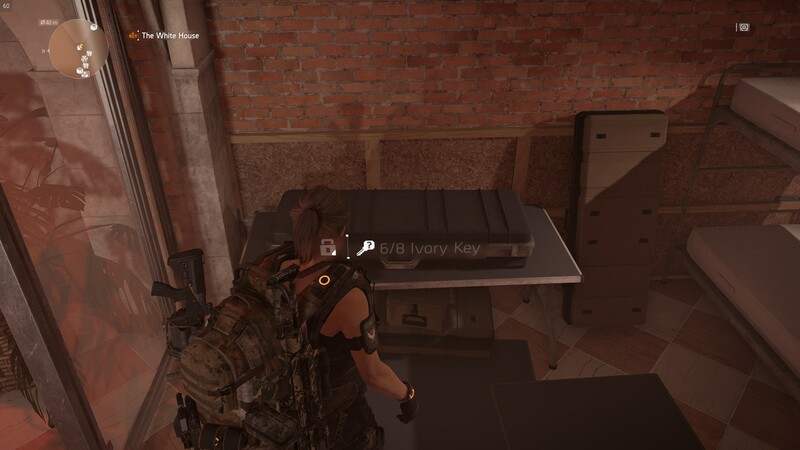 The Ivory Chest is located in the Base of Operations and can be found next to the barber. 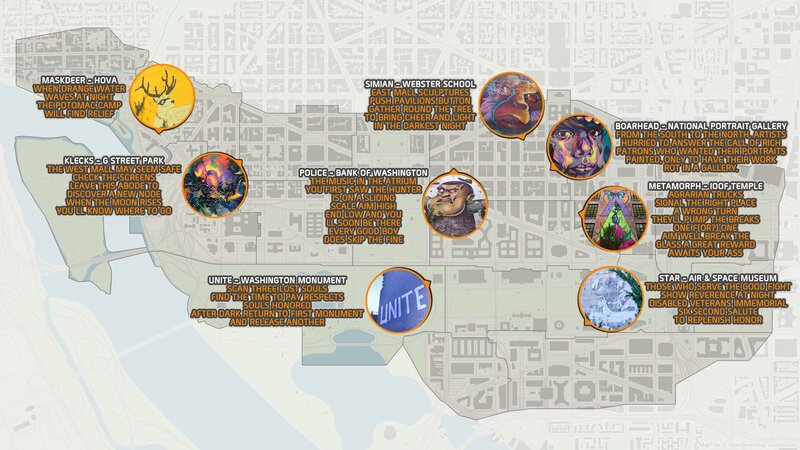 Tom Clancy’s The Division 2 includes eight enigmatic ciphertexts printed on top of graffiti that are scattered around Washington D.C. All of them will eventually lead you to the location of the returning Hunters, which will drop their face masks and the 8 Ivory Keys that are needed to open the chest. Reddit user zinfinion and the community managed to decipher these texts, but not all of them – yet. If you are interested or would like to help, you can find out more about it here. 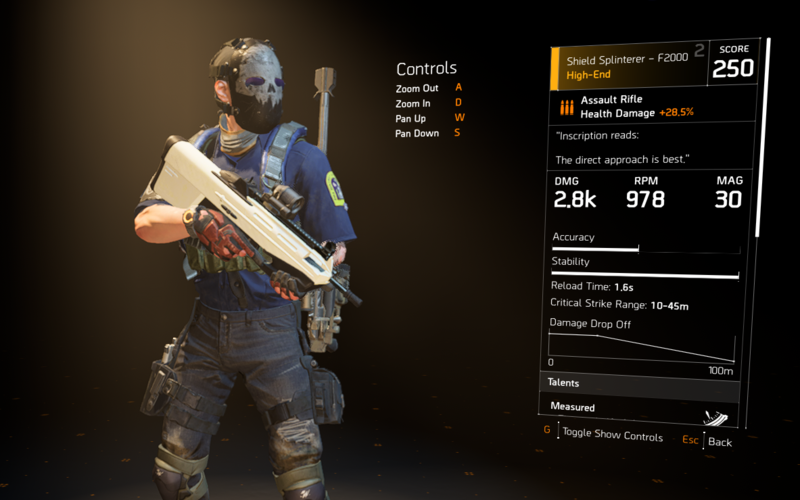 The Ivory Chest contains a High-End F2000 called “Shield Splinterer” that is tied to your current World Tier alongside a white weapon skin and the Hunter’s Axe Backpack Trophy. With the help of the deciphered characters map from above – which can also be found to some extent in-game in front of the US Department of the Treasury building east of the White House, the following map of D.C. marks the locations of each cipher. Since each of these ciphers is leading you to one or multiple Hunters as mentioned at the beginning, you can follow this guide to get all masks and keys.and don’t have to worry about finding out the deeper meaning of each of these riddles.